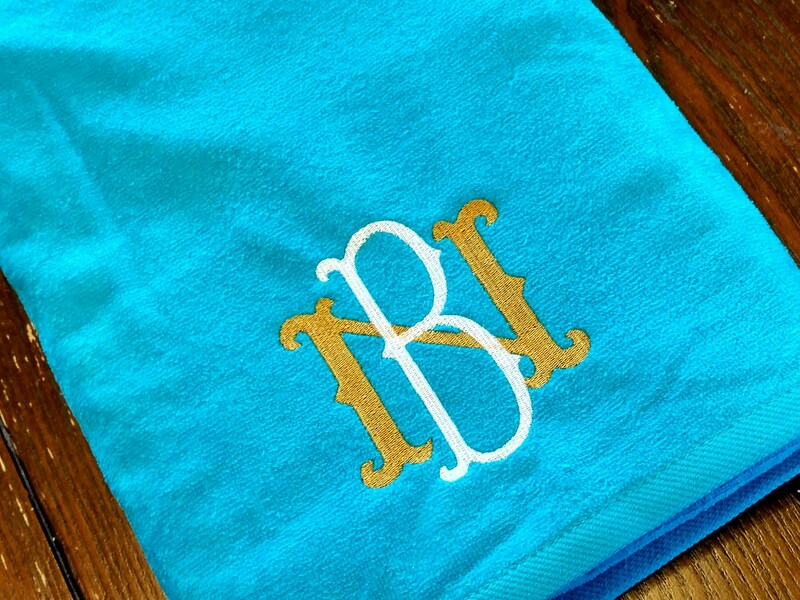 Monogrammed beach towel featuring a 2 letter overlapped monogram. 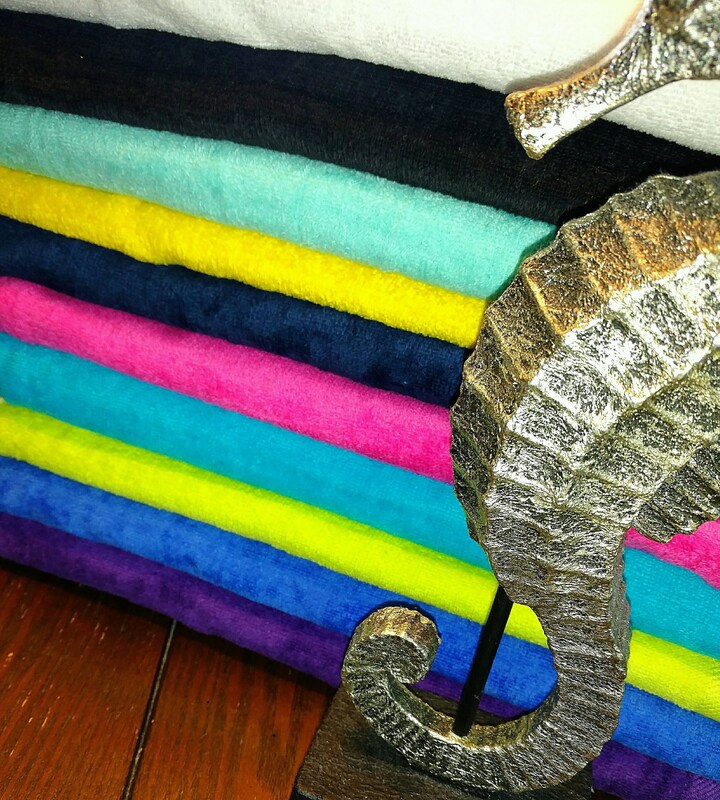 Customer selects towel color(s) and embroidery color. 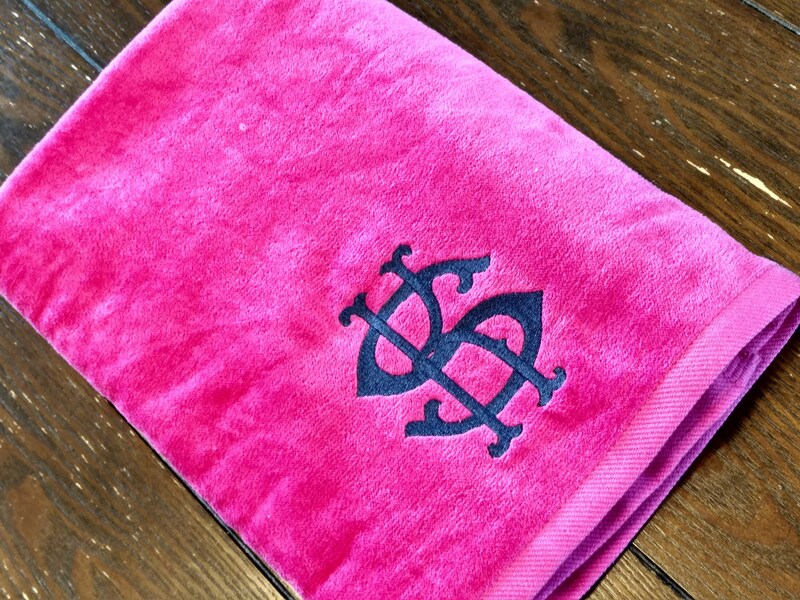 Other velour towel options available at special order pricing. Please check with me if interested.